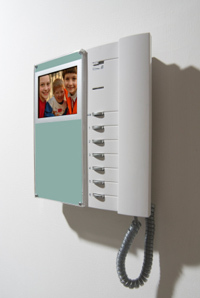 Intercom Systems allow users to communicate with one another through hands-free operation. Phone Systems in residential and commercial applications enhance communication. Digital phones, mailboxes, user extensions and conferencing are some of the features a Phone System provides. An installation specialists will be able to help you select from a variety of features and the newest technology available. Our friendly staff will also review and show you the features of your new intercom/Phone system and answers any questions you may have about how best to use them. Installing the right voice and data wiring solution improves the performance and reliability of business network systems. As you build your business infrastructure, our team of experts will take the confusion out of planning for your current cabling needs and design a voice and data cabling solution that is robust and agile enough to handle your business activities. Whether you are building a new infrastructure from the ground up, or updating an existing system, we help determine the cabling fit that provides enough bandwidth to ensure a reliable network is up at peak performance. Powerful enough to handle increased data and communication needs.